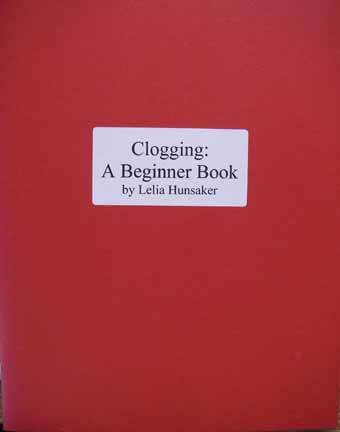 This beginner clogging book is a companion to the Beginner Clogging Steps video. It is designed to help reinforce your lessons, whether you are learning from the video or in a class. This is also a great resource for new teachers. It covers all the steps you need to teach in a beginner class, and has cue sheets for 18 fun dances to reinforce those steps. The first section, “Getting Started”, gives you background information, such as the rhythm and dance form of clogging. The second section, “Step Breakdowns”, gives all the beginner steps written not only in an abbreviated style, but also in everyday words. It is grouped according to steps that go together as being similar in their execution. The third section, “Cue Sheets”, contains the cue sheets for 18 beginner dances.